The Dubai Airport Freezone Authority (DAFZA) is an organization that deals with import and export trades and services. Since launch in 1996 DAFZA remains the governing body that administers trade licenses and visas to international companies wanting to do business from Dubai within the freezone. As part of service, DAFZA offer companies a base within a modern and comprehensive environment to do business from. DAFZA also offer tax and duty exemptions, full repatriation of earnings and total business ownership. DAFZA help international and local businesses incorporate in Dubai. So whether you are a cosmetics company or a crude oil supplier, the Dubai Airport Free zone Authority can help you obtain a Dubai business license. Dafza also specialise in free zone establishments as well as the opening of a branch office of an existing company. The process of setting up your business is easy. It requires minimal paperwork and a set fee, and the processing time is fast. DAFZA sales department will help you with every step of the way. 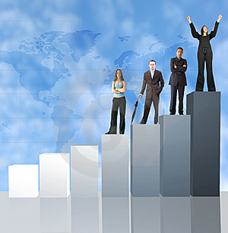 AARMAK provides a comprehensive range of management and business consultancy services. We help our clients to achieve their goals because their successes are ultimately a measure of our competence and professionalism.